Special natural greases mixture, with high percentage of lanolin enriched with fish oil and linseed oil. 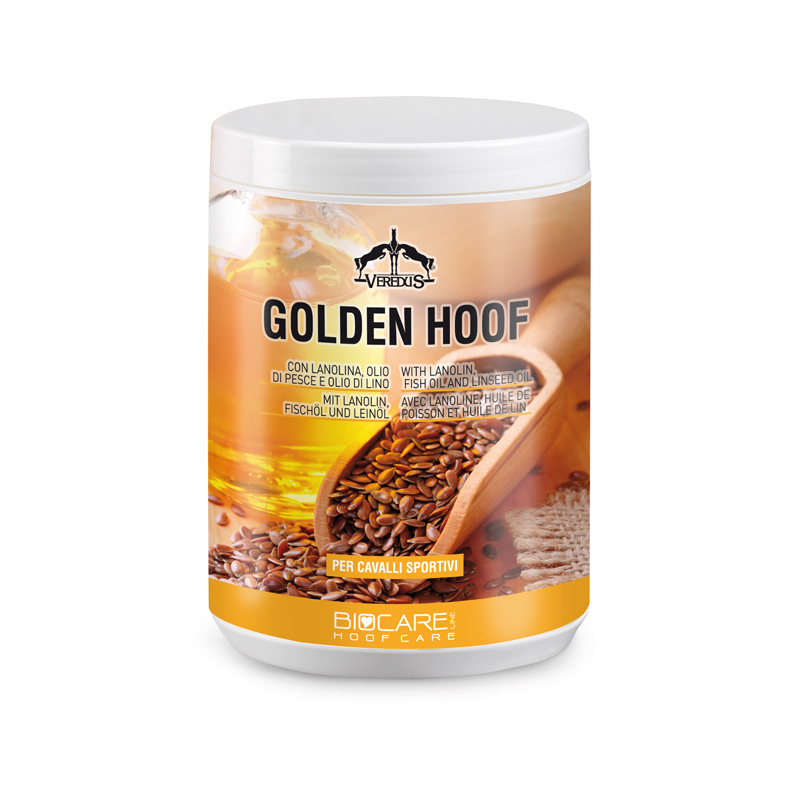 Used daily Golden Hoof stimulates the growth of the hoof making it exceptionally flexible and resistant to strains. Ointment ideal for all competition horses, trotters and racehorses.